﻿I am currently an associate professor at the Department of Applied Economics, Guanghua School of Management, Peking University. I completed my PhD in Economics at UCLA in June 2008. Prior to my doctoral studies, I received my B.A. in international economics and M.A. in economic history at Peking University in 2000 and 2002. My research interests lie at the intersection of economic history, development economics, and macroeconomics. My papers are published at the journals such as International Economic Review, Explorations in Economic History. A complete list of my papers can be found at IDEAS. I am serving as an Associate Editor of the Australian Economic History Review, and a member of the editorial board at the Economic History of Developing Regions. 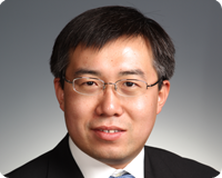 I am also a deputy director of the Institute of Economic and Policy Research, Peking University (IEPR-PKU). To be in touch, please send me an email here.